This is a review for an alternative fit model (fitting well with Asian). When I tried to order wayfarer sunglasses from Ray-Ban USA, I found out they did not sell the alternative fit model. Their customer service told me some online sellers had F models. Then I ordered these sunglasses from FramesDirect. The quality of this frame and lenses was superb although there was no "Ray-ban" logo on the lenses. More importantly, this model fitted well on my face and head. I am very satisfied with the product and the services. Excellent quality nice price, great services. I've not seen many reviews online for these sunglasses, so I hope this is helpful for those of you looking! 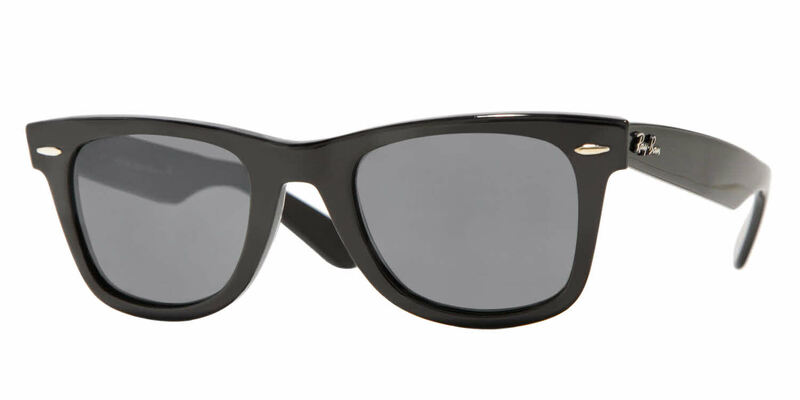 I LOVE the Rayban Classic Wayfarers but I didn't like the way they fit on my face. They sat on my cheeks leaving indentation marks. I also have long eyelashes...which are even longer with mascara, so sometimes they hit my lashes. I was skeptical about the fit of these because it's not cheap, but I was wrong...they are PERFECT for anyone who had those issues. They fit bigger, like the classics (versus the newer smaller style) but they don't touch my cheekbones or my lashes. They are a tad bigger on the bridge of my nose, so if I am outside doing something and sweating they slide a little. But, I find that with any plastic frame. They look great on, I highly recommend them! Great pair of sunglasses. You can tell that the quality and detailing are present with this model. They feel heavier than a normal pair of sunglasses in your hands but you don't notice it while they're on your face. I would recommend these to another.